Dental websites can be interesting and informative or simple with minimal information. We at Seasons of Smiles Dental are very proud of our website because it’s so much more than just a yellow page ad with our phone number. It’s a working website. We have it full of educational material that we can share with our patients. For example, depending on our patients’ situation we can show them how crowns work, or examples of what zirconium crowns look like. Or information regarding Invisalign. One day while John was in the dental chair, something caught his eye on the computer screen. “Bill Curtis has a smile makeover”. When I walked in John asked me about the smile makeover that was on the computer screen. He mentioned that when he was down in Florida he had seen multiple advertisements on smile makeovers. Well! As a dentist, I LOVE showing what a smile makeover can do. 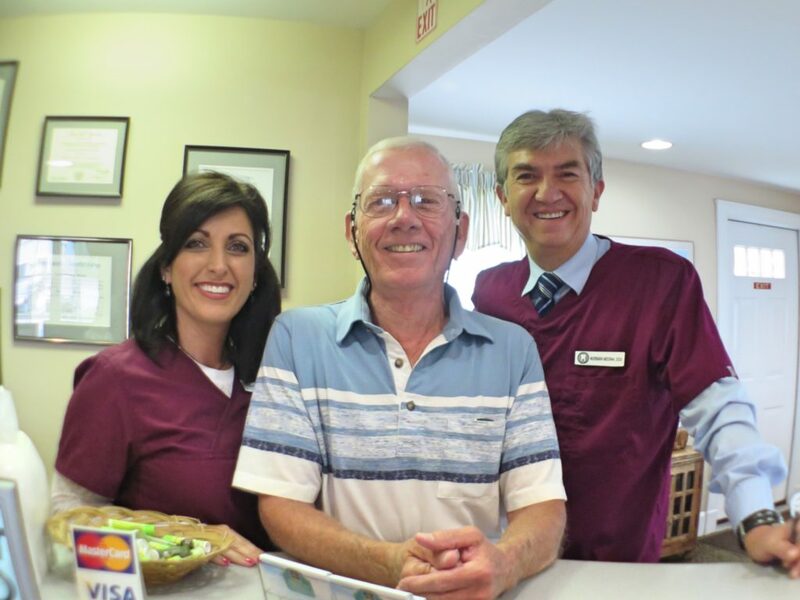 And Bill Curtis’ smile makeover was a perfect example of what we can do for our patients. So, John and I went through Bill’s makeover, going over all the before and after photos. I mentioned that if he had time we could take some BEFORE photos. John is also a QDP member at our office. From what I could tell, John appreciated his significant savings from our dental savings plan as well. Press here to find out more about QDP. John, you have no idea how envious we are of your winters down in Florida! I can’t even imagine what life must be like down there while we’re up here shoveling and shivering away all winter long. You can go down to Florida confident in your beautiful smile, and we’ll see you in the spring for your spring cleaning! Is there something about your smile that you are less than pleased with? Give us a call. We can take some pictures, and discuss what it would take to give you that extra special smile.